The mastodon may have looked like a wooly mammoth but it was a completely separate creature. This relative of the modern elephant first appeared about four million years ago and became extinct about 10,000 years ago. 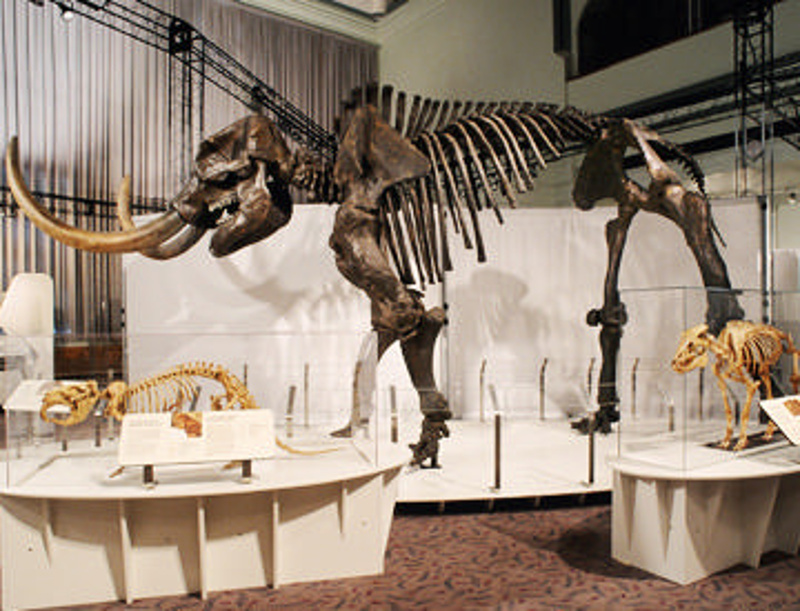 The mastodon was most common in the ice age spruce forests of the eastern United States. They had cone-shaped teeth that they used for eating leaves off the tops of trees. They also had huge tusks that could grow to be up to 16 feet (5 m) in length!